DriversEd.com's South Carolina online driving school gives you high-quality online drivers education that saves money and lives. Prepare for a lifetime of safe driving with online teen drivers ed. Adult drivers can study traffic rules and driving strategies—all online! Take our teen drivers ed course to earn a half (0.5) Carnegie Unit! 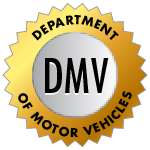 Get ready for the DMV permit test with online practice tests. Take our adult drivers ed course to earn an insurance discount. DriversEd.com is the online drivers ed authority. Our South Carolina driving school offers DMV practice permit tests, teen drivers ed courses that will earn you high school credit, and adult drivers ed courses that can qualify you for a car insurance discount. From Charleston to Rock Hill, we've got South Carolina covered! Our state-of-the-art teaching methods combine plain language with helpful graphics and engaging activities, games, and movies—all designed to help you succeed! At DriversEd.com, we take pride in providing a quick and worry-free learning experience. Our all-online South Carolina driving school is engineered to suit your needs, providing 24/7 online access from any computer with an Internet connection. Study from the comfort of your own home, the library, or a relative's house—everything you need is online at DriversEd.com! Straightforward lessons, high-quality video, and interactive 3-D animations combine to give you an unparalleled professional learning experience. Looking forward to graduating high school? Our teen drivers ed course will earn you a half (0.5) Carnegie Unit towards graduation! Paying for car insurance? Our adult drivers ed course may qualify you for a 10% insurance discount—ask your agent for details! Hear about tips, offers, & more. If you already have a DriversEd.com account, log in. Enter the email address you used during registration, and we’ll email you your account information.